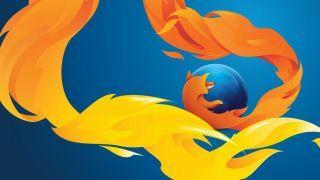 Windows offers two color themes, light and dark, and whichever you choose, Firefox will soon respect that decision and change itself to match. It's a small update, but one that'll be welcomed by the many Windows users – particularly software engineers who prefer their interfaces on the darker side. Microsoft itself is working on creating dark themes for its native apps (a moodier version of list-making app To-Do was spotted last month), but users have to change each app's settings individually. This is even the case for Edge, which Microsoft is pushing hard as the best browser for Windows 10 users with limited success. Mozilla's latest announcement has stirred discontent, with Twitter users questioning why Edge still defaults to the light scheme, regardless of which Windows settings the user has chosen. Don't want your browser to fade into the background? Mozilla has you covered. Last month, it debuted a new Test Pilot experiment called Color, which lets you give Firefox a whole new look using simple color pickers. Once you're satisfied with your new look browser, you can save it for later and share it using a link that's generated automatically. If you use a custom Firefox theme, don't worry – it won't be overridden if you decide to change your Windows options. What's the best web browser of 2018?